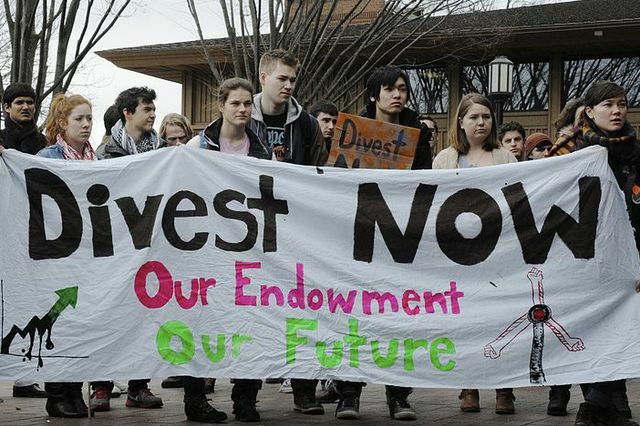 Tufts University students protested in March 2013 demanding that their college eliminate investments in fossil fuels. Ivo Welch is the J. Fred Weston Professor of Finance at the UCLA Anderson School of Management. This op-ed appeared May 9 in The New York Times. Tonight, the 20,000 students at Stanford will sleep more soundly. Earlier this week, a group called “Fossil Free Stanford” persuaded the university’s endowment to divest its stock holdings from coal-mining companies. The world will be a better place. Except that it won’t be. Individual divestments, either as economic or symbolic pressure, have never succeeded in getting companies or countries to change. Global public equity markets constitute about $60 trillion of market capitalization. With about $19 billion, Stanford’s endowment represents only about five-hundredths of 1 percent of the world’s capitalization. Even if Stanford divested itself fully of all its stocks, both fossil and nonfossil, it would probably take the market less than an hour to absorb the shares. It would not lead the executives of the affected companies to engage in soul-searching, much less in changes in operations. 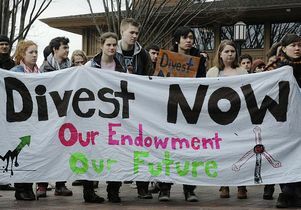 Proponents of divestment argue that it sends an important signal, and that other university endowments will follow. Yet all of them together command only about $500 billion of market capitalization. Moreover, if divestment really drove down fossil-fuel stock prices, then there would be plenty of other investors ready, able and willing to step in to buy their shares, now trading for just a little cheaper than they otherwise would. But didn’t a similar boycott force South Africa in the 1980s to abandon apartheid? Unfortunately not. In an academic study, my co-authors and I found that the announcement of divestment from South Africa, not only by universities but also by state pension funds, had no discernible effect on the valuation of companies that were being divested, either short-term or long-term. And there was no real effect on the composition of their shareholders between institutional and noninstitutional investors. We looked hard for evidence linking boycotts and sanctions to the value of the South Africa’s currency, stock market and economy. Nothing. In retrospect, our evidence should not be surprising. For each investor and business that withdrew, there were others standing by ready to step in. True, stating that the impact of economic sanctions was low is not the same as stating that the isolation of the apartheid regime had no effect. The wide ostracism may well have weighed on President F. W. de Klerk’s mind. But it was not the economic effect of the boycott that forced him to the table. Of course, not everything is economics. Morals matter. Would I have divested from South Africa? Yes, but I would have had no illusion that doing so would have made a difference. And I would have told others that, in light of its ineffectiveness, I would have understood that reasonable and moral individuals could have come to a different conclusion. In the case of fossil fuels, the situation is even murkier. The moral choice is much less clear than it was with apartheid. Energy is an area with no obvious solutions. Apartheid had no place in a civilized world. Fossil-fuel companies are supplying a market demand, one that for the time being cannot be met by other fuel sources. Divestment won’t change that calculus. And there is no guarantee that the strategy will lead to the outcome that divestment proponents want. Suppose divestment worked — and coal companies poured their resources into, say, hydroelectric power, or nuclear. Neither outcome would be a clear-cut win for society or the environment. If Stanford really wants to reduce fossil fuel use, it has two better options. For one, Stanford could pay polluters to pollute less and press institutions that want access to Stanford’s intellectual resources. One way to do this would be to take a 180-degree turn from its current course and buy up lots of energy stocks, concentrating its holdings and then using that position to press corporate boards to make changes. This would be expensive. The values of these companies would most likely drop, imposing a cost on the Stanford endowment. But unlike the “run” strategy, the “influence” strategy could actually make boards and executives of these companies take notice. The second option is to help make both clean and nuclear energy cheaper than fossil fuels. Stanford has enormous intellectual and financial resources that have helped revolutionize the technology sector. Why can’t it do the same with energy? This includes not only the research and development of clean-energy technology, but also its commercialization. Neither option is cheap. And neither is necessarily the mission nor in the self-interest of Stanford. But either would be more effective than divestment. 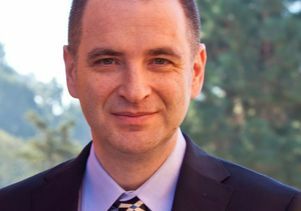 Professor Ivo Welch, the J. Fred Weston Professor of Finance at the UCLA Anderson School of Management.